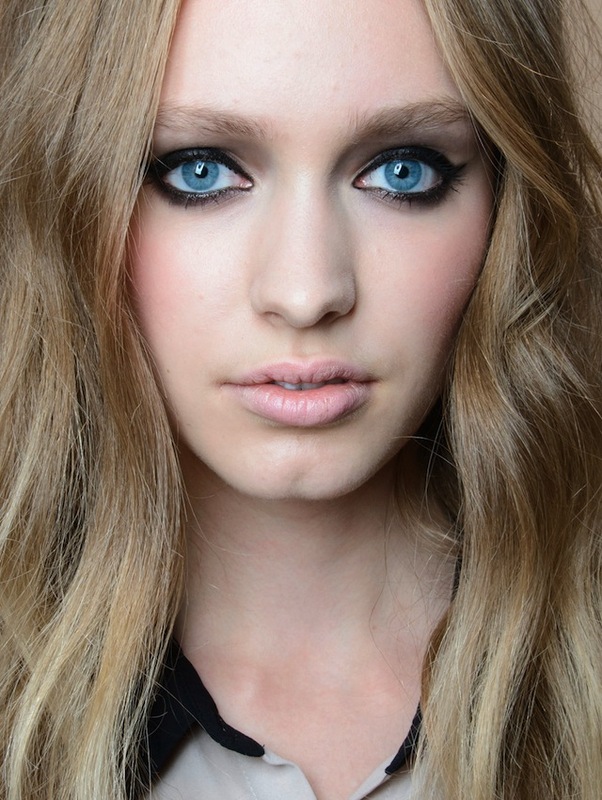 If white eyeliner , as the shows Maison Martin Margiela, Kenzo, Tibi and others, seems too radical solution for spring make-up, to go back to classic black arrows, as the examples from the podium, is not precluded. But this season’s terms of black are: arrows have to be long, curved, with a sharp “tail” and thus little change of the eyes, creating the effect of “cat” look. Even better, if the shape of the arrow is unusual and does not follow the contours of the eyelashes. 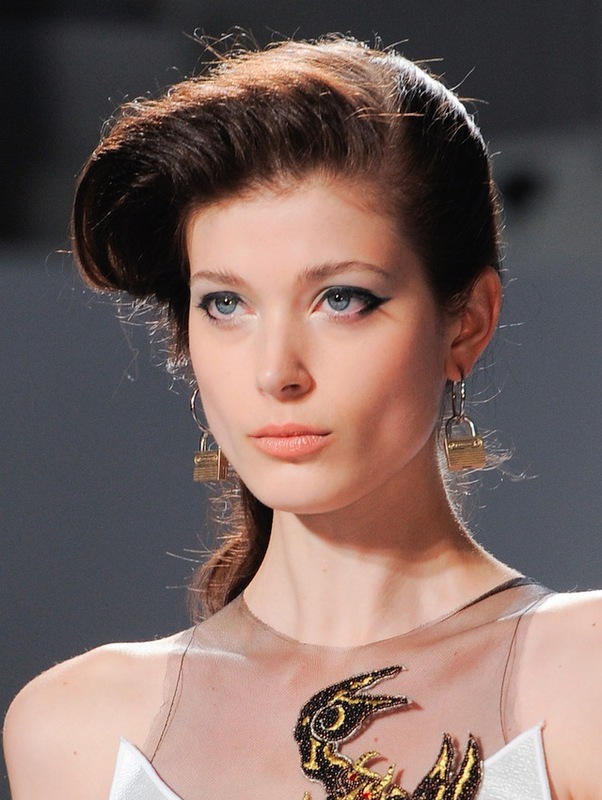 For “cat’s eye” during the September shows spring-summer 2014 in favor masters such as Pat McGrath (she, by the way, the black eyeliner for greater showiness loves complement false eyelashes), James Kaliadros, Val Garland, Lucia Pieroni, Terry Barber and many other. most unusual “samples” have turned out at Missoni, Anthony Vaccarello, Roksanda Ilcinic and Zadig & Voltaire. On show Missoni Lucia has achieved the desired effect – high-pitched, playful look – at the expense of what made ​​the model “arrow-shifters” with a focus on the inner corner of the eye. External she also managed to extend by pulling the tip of the arrow, and from this side. She was inspired to create this version of the shooter looks Japanese girls and their manner in the creation of make-up. 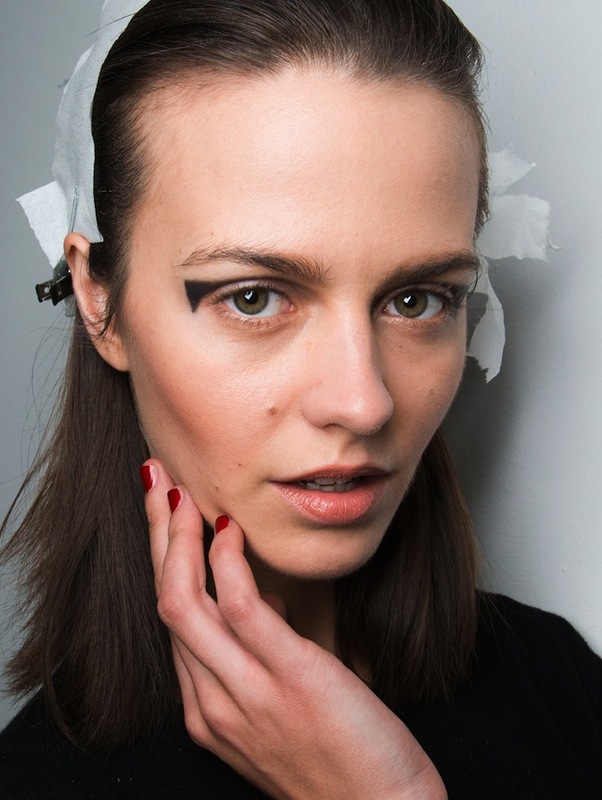 Another method Lucia floated on the show Roksanda Ilcinic: graphically painted corners of black eyeliner, and line it drove almost to his eyebrows. In Anthony Vaccarello they were made ​​with a shadow, however, thanks to the efforts of Tom Pecheux, turned sharp arrows at least in outline. Almost the same version, but less sweeping and more minimalistic, offered to show Zadig & Voltaire. 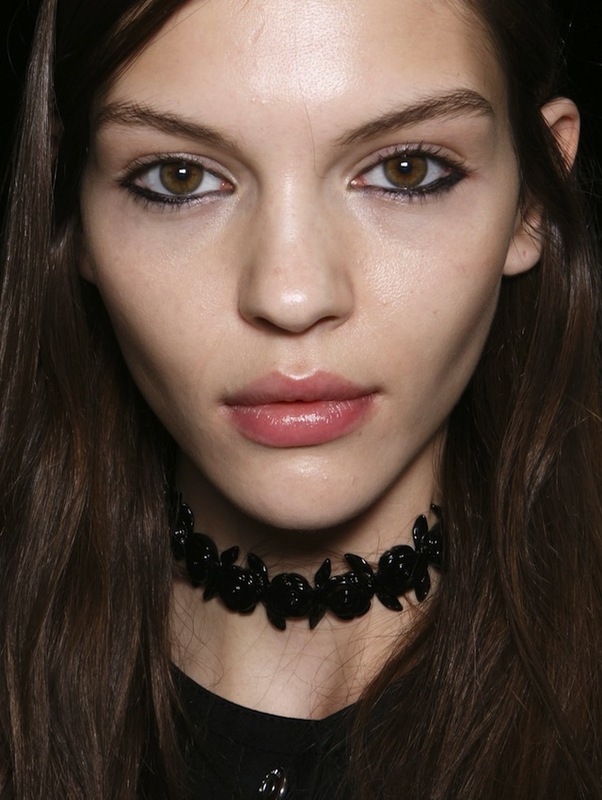 Closer to the classic options we saw in Stella McCartney (Pat McGrath precisely for this kind of black arrows in the season), Rodarte, Blugirl and others. But no matter how much make-up artists or showed ingenuity, inventing new ways to use the black arrows, and their opinion is united in one thing: the effect of “cat’s eye” should be the only focus in make-up, otherwise its meaning is lost. This item should complement the pristine lip color and even skin tone (can be refreshed pink or peach blush).